I was excited to try this one because of the beautiful gold shimmer in it. I wasn’t sure if it would help or hinder stamping. The red does show up on the white but the gold shimmer shows up more on the black. It stamps ok but the stamping on the black isn’t quite solid. If it will work for the look you’re after this is great, otherwise I would stick to lighter colours. Again, I was curious for this one because of the shimmer. It shows up on the white and not too bad on the black. 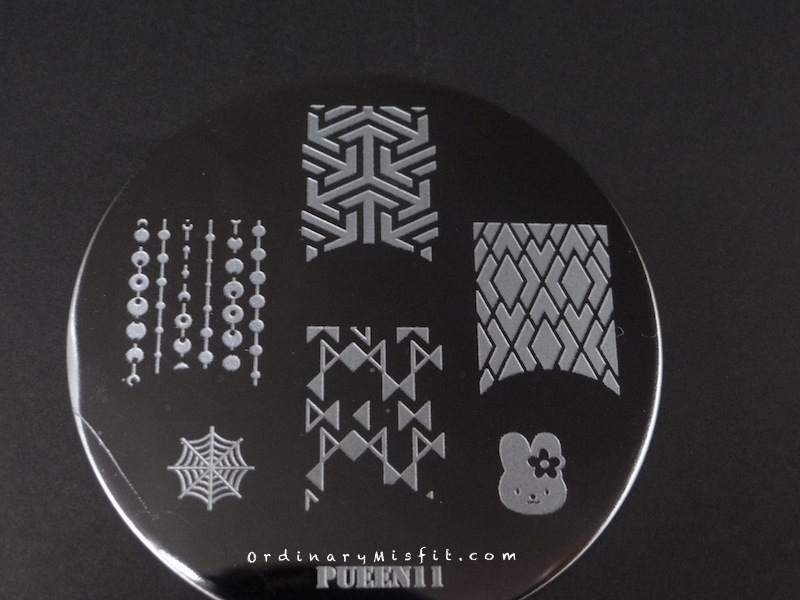 I am not sure if this is one I would grab for stamping unless I wanted the specific shimmery but subtle look. This pink has a metallic-ish feel to it so I expected it to fair well. It shows up well on the white and the black and stamps pretty well. I’m not sure why I haven’t used this yet. This red kinda blew my mind and it didn’t disappoint on the white. I didn’t expect it to show up on the black but it is slightly visible. What do you think? Do you have a favourite? I definitely think the two Morgan Taylors perform the best. They are from the Kung Fu panda 3 collection and I am not sure why I have never used them before. Do you want to see any of them stamped over a specific colour? Do you have an idea for a stamped design you would like me to do? Do you have any suggestions for changes or additions you would prefer on these posts? I would love to hear from you. Or if you want to choose the next 4 polishes let me know.